Islamabad is beautiful. It is a region-wide symbol of progress, innovation and architectural marvel. Islamabad is now becoming a lively and bustling metropolis, full of vibrancy. Islamabad is the capital city of Pakistan. It is the 10th largest city in the entire country and is located within the federal Islamabad capital territory. 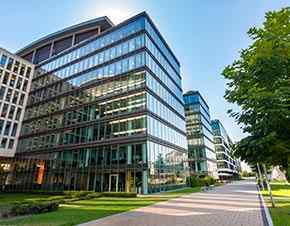 There are many different places that you can visit if you are new to the city. But one of the most famous tourist spots is the Lok Virsa Museum. It is an amalgamation of the culture and history of Pakistan. It shows all the different lifestyle of people around the country through statues, pictures and music. Major Airlines flying to Islamabad, Pakistan are PIA, Etihad airways, Emirates, Qatar airways, Turkish Airline, Saudi airline and Gulf airways. Booking a flight requires a lot of thought, especially when it comes to budget. But now you can easily book cheap flights & airline tickets to Islamabad with Nanak Flights. Our services extend to almost every destination in the world, whether international or domestic. With our global circuit of suppliers and distributors, we are able to provide our customers with exclusive discounts on various airlines for Flights to Islamabad. We offer cheap flights from Islamabad to Toronto and back. These promotional offers are continuously changing so that we can adapt to each of our customer needs. We have dedicated expert travel agents for Islamabad, Pakistan Market. 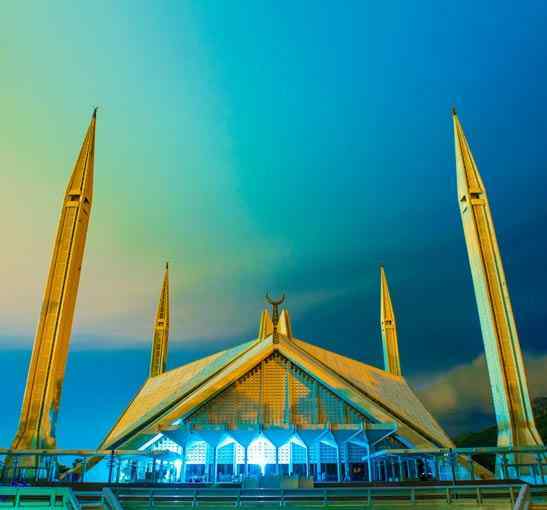 To know more about the current flights deals to Islamabad, Pakistan you can call our helpline number anytime. We are open 24 X 7. We offer best flights deals to Islamabad from all Canadian cities and gateways including Toronto(YYZ), Montreal(YUL), Ottawa(YOW), Vancouver(YVR), Calgary(YYC), Edmonton(YEG), Halifax(YHZ), Winnipeg(YWG), Saskatoon(YXE), Fort mcmurray(YMM) and Victoria(YYJ). We also offer best ticket rates if you are inviting your parents, relatives of friends from Islamabad, Pakistan to Canada. We have fares from Islamabad-Toronto on PIA non stop, Islamabad to Montreal on PIA/AC, Islamabad to Ottawa on PIA/AC, Islamabad to Vancouver, Islamabad to Calgary, Islamabad to Fort mcmurray, Islamabad to Edmonton, Islamabad to Halifax and all Canadian gateways. With our cheap flights from Toronto to Islamabad you can plan frequent trips to Pakistan. We work hard to find the cheapest deals to Islamabad, Pakistan. For the best deals, fill out our form for a free quotation by email and we will get back to you with unbeatable rates to Islamabad. To book your trip right away, use our booking search to reserve your flight ticket online instantly. We have exclusive fares on Qatar airways(QR), Saudi Airline(SV), PIA(PK), Eithad (EY), Turkish airline(TK) and Emirates(EK) airline for Islamabad. You can compare the prices to Islamabad on multiple airlines and book the flights according to your convenience of connections and price. If the cost of your air tickets to Islamabad drops after you purchase your tickets from us, we'll give you a 100 credit to spend on the next flights you book with us. Our Secret to lowest airfares is connecting with multiple suppliers and multiple GDS (Global distribution systems Sabre, Amadeus) to find the lower fare and pass all the savings to our consumers. Islamabad (Urdu: اسلام آباد‎.) name is derived from two words: Islam and abad. Islamabad is a beautiful, clean and lush green city of Pakistan. Islamabad has a population of 2 million. Best time to travel to Islamabad, Pakistan is during following seasons: Winter (November - February), spring season (March - April), summer season (May - June), Monsoon (July - August) & autumn (September and October). Benazir Bhutto (the International Airport) is the third-largest airport in Pakistan, serving the capital Islamabad of Pakistan. 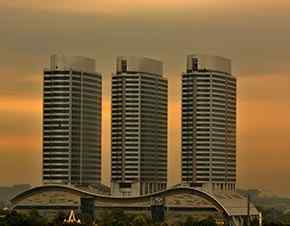 Serving as the capital of Pakistan since the Sixties, Islamabad was built according to a carefully organized plan, divided into sectors along a grid of clean, tree-lined streets. 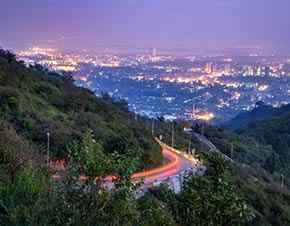 The city is sheltered by the Margalla Hills, the foothills of the Himalayas and the home of rare species of leopard, deer, birds, and even porcupines. 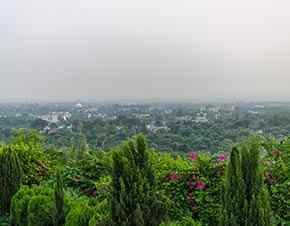 Several hiking paths end at Daman-e-Koh, a picnic spot with a splendid view of the entire city, including the massive modernist Faisal Mosque and even the Rawal Dam. To get flights updates at Islamabad Airport (Islamabad International Airport ISB), check the arrival and departure time of domestic and international flights. Rose and Jasmine Garden is a 20,360 sq. meter rose garden famous for its roses. It has 250 different varieties of roses as well as a dozen types of Jasmines. Shakarparian hills are situated near Zero Point, at a height of 609 meters. Its terraced garden offers pleasant and sweeping vistas of Margallah and Murree hills, Rawal Lake, Rawalpindi and Islamabad. Snack Bar facilities are available. 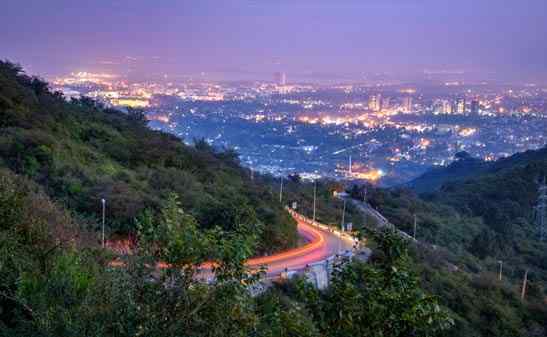 Daman-e-Koh offers panoramic view of Islamabad. Snack bar facilities are available at PTDC's Daman-e-Koh Restaurant. The place is ideal for afternoon and evening outing with family and friends. Murghzar Mini zoo is located at the foot of Daman-e-Koh viewpoint. A Pakistanese style children's park have also been established near the Zoo. This Park is a gift to Pakistani children from the children of Pakistan. Nanak Flights is offering $25 cash back on all PIA(PK) airline tickets issued to Pakistan. This is a limited time offer. Offer expires on Dec 31, 2018. We have staff who also speaks Urdu. They will understand your booking requirements in Urdu and will speak Urdu to help you make your booking to Islamabad (ISB), Pakistan. We have also sold reverse tickets from Islamabad, Pakistan to Canada. It is very convenient for children who pay for their parents tickets by their credit cards in our office or online. You can Call Rahman (extension 122) or Nazreen (extension 121) for flights to Islamabad, Pakistan. Both Rahman and Nazreen are specialist agents for Pakistan and Middle east market. Why book with NanakFlights ? We work with all airlines to make sure you get the best price on air tickets. We specialize in bringing you the customized vacation to Islamabad. Customer at first priority, special care and preference with respect to services to old age people, kids and ladies. Travelers can best deals and earn loyalty points from time to time with respect to flight tickets bookings. We are also help our customers by providing authentic and up to date information. We are working always in sync with emerging technologies e.g. website portal, on-call booking service and will soon coming up with mobile app services too. With all the above qualities we are the first choice for travelers. We have all the certification / accreditation with respect to flight booking and online travel business. Chelo Kebab of Omer Khayyam (Iranian place is a cult classic with a small loyal following): The unique presentation of Chelo Kebab for you served with Lassi (salty flavor) which is a superb combination. 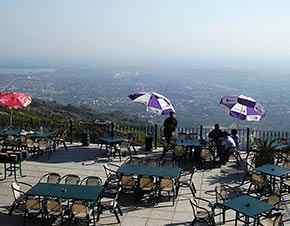 Cheese Naans of Monal: it’s Ambiance | Desi food | Awesome View of Margalla Hills. Cheese naans are your guilty pleasure every time you visit this gorgeous place. Ginger and Lemongrass Tea from Chai Chowk. 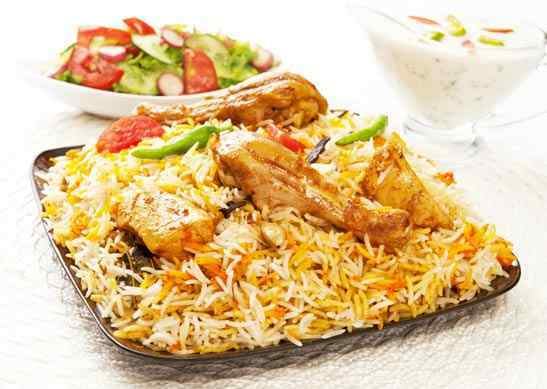 If you are food lover, please check our hand picked list of top restaurants in Islamabad. The food from these top restaurants will trickle your taste buds. Kabul restaurant: Best Afghani restaurant in Islamabad. Khiva restaurant: Best Pakistani restaurant in Islamabad. Hardee restaurant: Best place for Burgers in Islamabad. Des Pardes Restaurant: It is the best desi restaurant in the Islamabad city. The Monal Restaurant: The restaurant has very good food and will tricke your taste buds. KC Grill: The best restaurant for BBQ food. Emirates airline takes 16 hrs to Islamabad. Emirates takes 12.45 hrs to Dubai flight and then 3.10 hrs to Islamabad from Dubai. Saudi airline takes 17.25 hrs to Islamabad. Saudi airline takes 12 hrs to Jedda flight and then 5.25 hrs to Islamabad from Jedda airport. Islamabad & Murree Tour Package (3days/2Nights). Family & Corporate Tour Package: Grab Cool Deals from www.nanakflights.com. Honeymoon Packages + best Hotel Deals. Avail discount on Pre-booking on Group Flights tickets. Earn loyalty points and redeemed on next flight ticket booking. Call our 24/7 Call Center to serve you with best updates. Cultural & Heritage Museum in Islamabad that exhibits the different lifestyles of people in Pakistan. For Shopaholics best blend of Pakistani & International Clothing Brands. Iconic Architectural structure | Largest Mosque | Accommodate 250,000 worshippers. For Boating (paddle & motor boats) | Bird Watching | Wildlife Experience. Best picnic spot in Islamabad, built on this hill to attract tourist. If you are planning to go from Toronto to Islamabad, then you can book your cheap flight tickets with us. We at Nanak Flights only provide the cheapest possible fares on all the different airlines available. We make sure that you always get a ticket that is in your budget for flights from Toronto to Islamabad. If this is your first trip to Toronto, then you must visit the Art Gallery of Ontario. It is the most popular art exhibit in the city, and it can also help you learn about the colorful past of Toronto. It is the largest and the biggest exhibit that the city has to offer. Similar to this, the Pakistani Museum of Natural History is also a major tourist attraction of Islamabad. 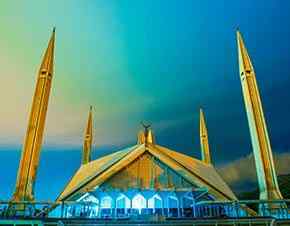 It is the best place to learn about the Muslim religion and the culture of Islamabad. Many people travel here just to learn interesting facts about Pakistan. If you are a frequent traveler and are looking for a more budget alternative for flying, then Nanak Flights is the answer to all your problems. We are a travel agency based in Canada which provides cheap flight tickets to all our customers. No matter when you book your tickets you will always get a competent price through our booking portal. We are a travel agency that can get budget airline tickets to you anytime you want. One of the most amazing sites to see in Montreal is the Mount Royal Park. It is a volcanic mountain that is situated on the outskirts of the city. It is also an elevated point above the city giving a 360-degree view of the entire Montreal city skyline. A similar mesmerizing location in Islamabad is the Rawal Lake. 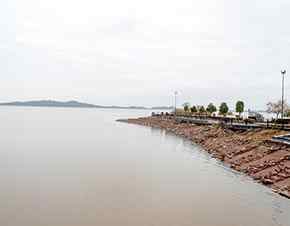 It is an artificial lake that has been constructed to keep up with the water needs of the city. it is situated a little away from the city but still is a popular location among locals. Nanak Flights understands how tricky it can be to search for cheap flight tickets online without the help of a professional and book itduring a peak season. That is why we designed our website equipped with a smart algorithm which does the work for you by comparing all the different available flights and fares on a particular route. After the results have been displayed, you can then select the one that fits your budget. The Pakistan Museum of Natural History is one of the most visited tourist attractions in Islamabad. It is the best way to learn about the culture of the country along with its historical past. This museum is open throughout the year making it convenient to visit. Similar to the above, the National Gallery of Canada situated in Ottawa is another good place to visit. If you are in the city, then you must make it a point to visit these museums. We at Nanak Flights have got the perfect way for you to book your cheap flights from Vancouver to Islamabad. You can now check our website and book the cheapest tickets to any destinations worldwide. There are thousands of different flights and fares that you can choose from. All you have to do is enter your source and destination city, and the preferred date of your travel, and we will give you all the cheapest traveling options possible. 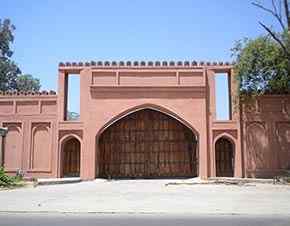 The LokVirsa Museum located in Islamabad is one of the biggest exhibits of the city. It is also the oldest museum in town. Many amazing artifacts canbe seen here. It is also the perfect place to learn more about Islamabad and its culture. The Granville Island in Vancouver is the best location fora peaceful dinner date with your loved ones. It is a forest island that has now been turned into a garden. The most amazing thing about this place is that you can enjoy thefine dining experience in the middle of a rain forest. If you are looking for a flight ticket from Calgary to Islamabad, then Nanak Flights is where you should be headed. We are a travel agency that provides online booking facility to all our clients. Now you can book tickets any time of the day without having to worry about the expensive fares. We strive to give only the best possible pricesto all our customers, and for that reason, you will only find the lowest fares on our website. This way you can book multiple tickets without having to go over budget. The Fort is a place in Calgary where the ruling families of the city used to reside. The place now has been converted into a museum, and it is now a historical site for the city of Calgary. It was built in the late 1875 and has a beautiful architectural touch to it. 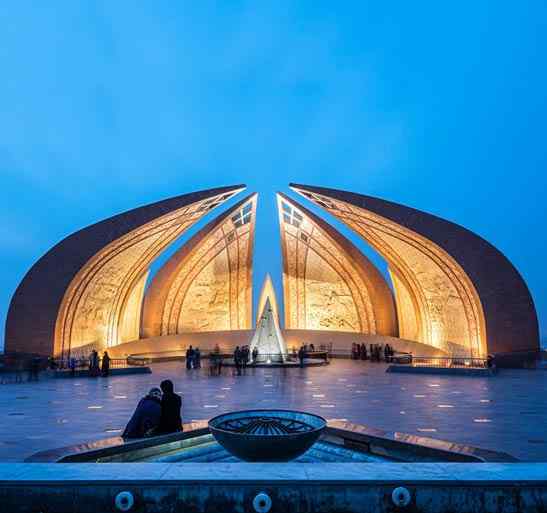 The Pakistani monument in Islamabad is one of the most famous museums and historical site of the city. It is not only the most visited place in Islamabad but also is the oldest standing monument there. Have you been planning to visit Islamabad from Edmonton? If so then book your trip with Nanak Flights. Not only are these destinations great tourist spots but you can also learn about their historical past by visiting them. The great thing about these locations is that you can now find cheap flight tickets for them anytime you want. With the help of our travel agency you can book cheap flight tickets as and when you need them. We are a Canadian company that offers the greatest discounts on airline fares. If you are fond of shopping, thenWest Edmonton Mall is the perfect place to visit. It is not only the best mall in the city but is also the biggest in the country. It is spread across such a huge area that you would get tired roaming around. On the other hand, if you are someone who loves to see nature and animals, then the Islamabad Zoo is the place to visit. It is located in the center of the city and has hundreds of different species of animals to showcase. Flights from Toronto(YYZ) to Islamabad(ISB) departing November 10 2018, returning November 25 2018. Cheap tickets are subject to availability. We update our seat sale fares regularly. Please check our web site for most up to date seat sale fares. Flights from Montreal(YUL) to Islamabad(ISB) departing November 10 2018, returning November 25 2018. airfares to Islamabad are subject to availability. Flights from Vancouver(YVR) to Islamabad(ISB) departing November 10 2018, returning November 25 2018. airfare are subject to availability. You must carry Pakistani currency. Pakistani currency is PKR and is called Pakistani Rupee. 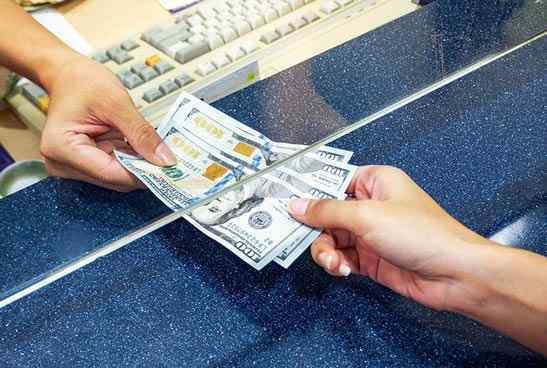 1 CAD is equivalent to approximately 80 PKR and 1 USD is equivalent to approximately 105 PKR. For Tourists, it is very important to remember the dress code. Long clothing is very common and you must keep in mind while visiting any mosque. You must be fully covered specially ladies while entering mosques. For any information regarding Islamabad International Airport, Please visit the Islamabad International Airport web site. If you are planning to stay close to the airport in Islamabad, the following is a list of the best hotels close to the Islamabad Airport. We are RATED 4.5/5 by 1126 Google reviews for a reason. Book your Flights to Islamabad with confidence.